Illustration for a Web Framework application called Pyramid. the piramid looks so gooooood!! Type ruins it IMO but the illustration is great. 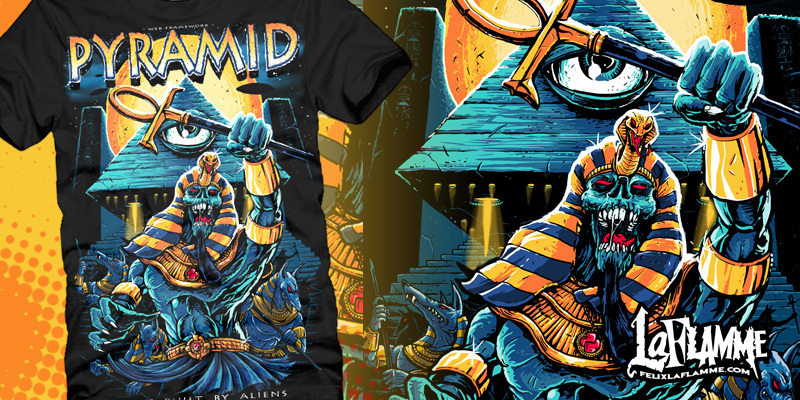 sicovercast said: the piramid looks so gooooood!! A really nice one, though it needs more work on anatomy. Well done Felix. This is great! ibzombieliquorice said: Well done Felix. This is great! damn! it's so awesome dude ! Bob Kawa said: Type ruins it IMO but the illustration is great. Yeah, I'm not a fan of the type, either, but damn, the illustration is sick! the illustration is effingly awesome! love it! also love to see more of those progress video's! Amazing work. Love the vid.